Welcome to this stunning ranch-style condo that offers fantastic views of the mountains including Colorado's signature Pikes Peak and downtown Colorado Springs. The spacious great room features a wood burning fireplace, built-ins, and a wonderful wetbar. Walkout to the tile deck and enjoy city views and mature trees surrounding you. 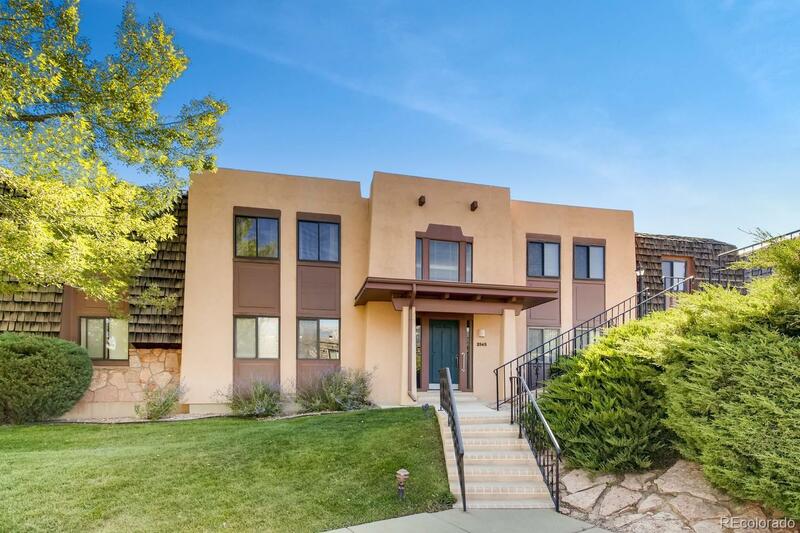 This home is located in an exclusive, highly sought over area close to Garden of the Gods, shopping, schools and some amazing hiking and biking trails. Come see these views for yourself before its too late!